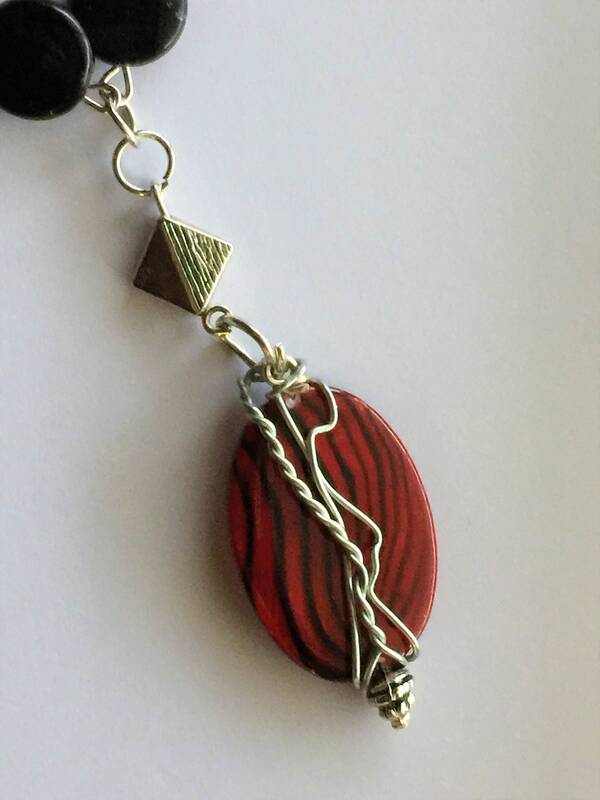 A gorgeous red glass with black striations is wrapped in silver with a Bali sterling silver cap on the bottom. 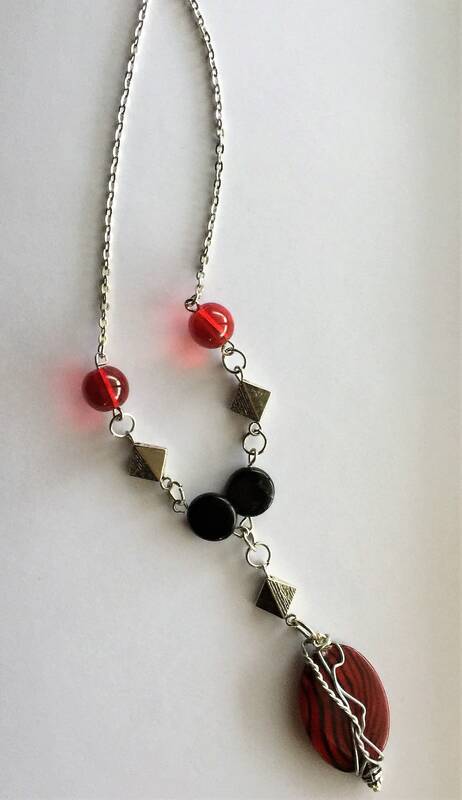 The chain consists of diamond shaped brushed pewter beads, glass circles, and luminous red orbs. It is a total of 18" in length but can be customized. 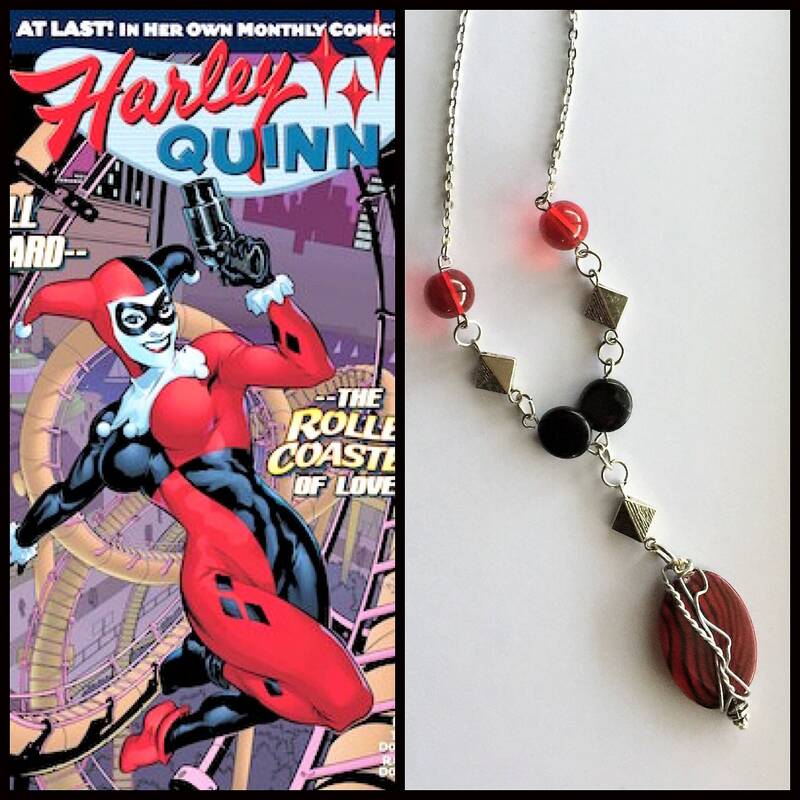 If you need your item customized, please use the Custom Order request and complete all of the details so that I can ensure your item is to your liking.